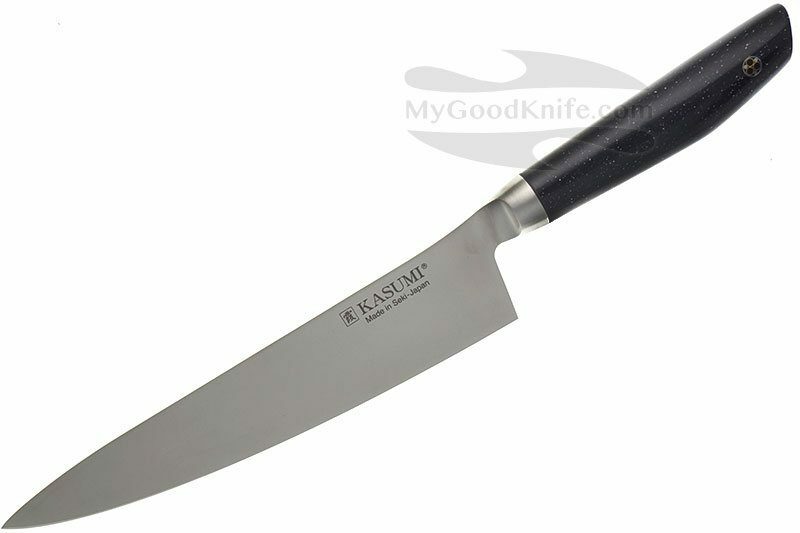 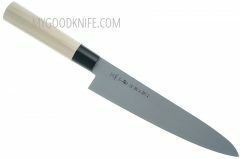 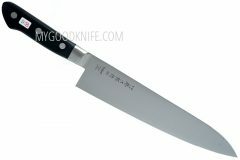 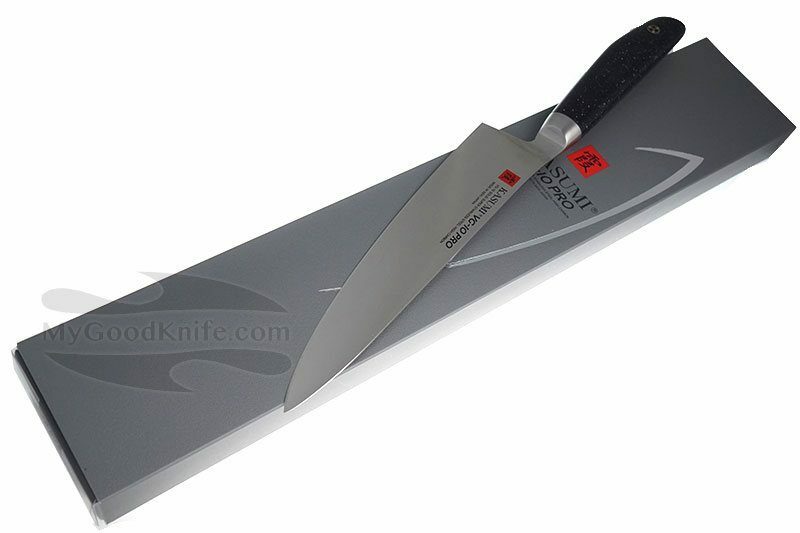 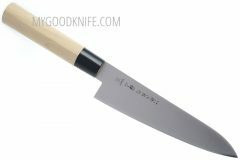 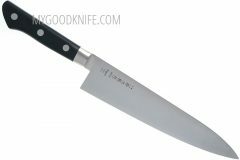 Kasumi Chef knife 20 cm VG10 Pro Series. 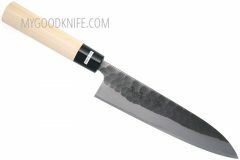 These latest generation of Kasumi VG-10 Pro Series knives are forged from one single piece of Solid Super Stainless Steel High Carbon VG-10 (HRC 60~61). 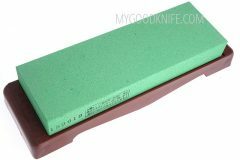 The beautiful ergonomic handle is made from durable marble resin in high gloss finish and comes decorated with a mosaic pin. 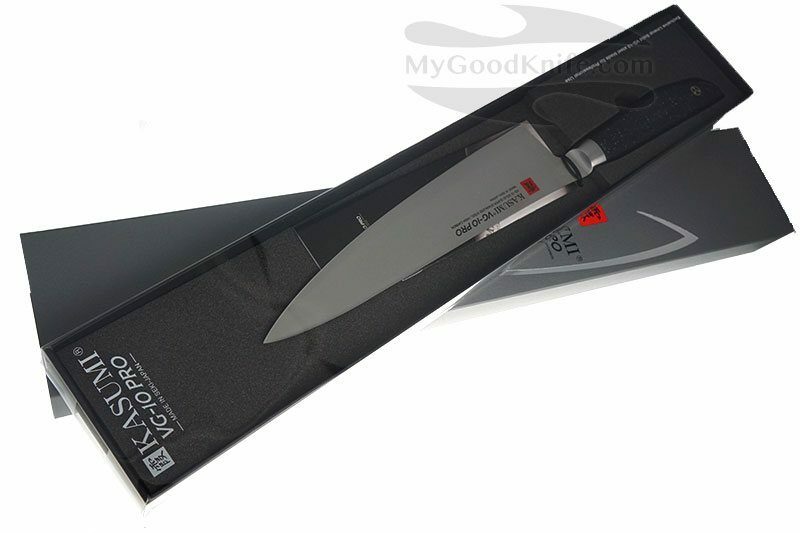 The blades have a hardness Rockwell HRC 59-60 representing the ideal hardness for kitchen professional knives of high quality and guaranteeing the best cutting and tight performances of the cutting-edge and having a longer duration with respect to the major part of other knives. 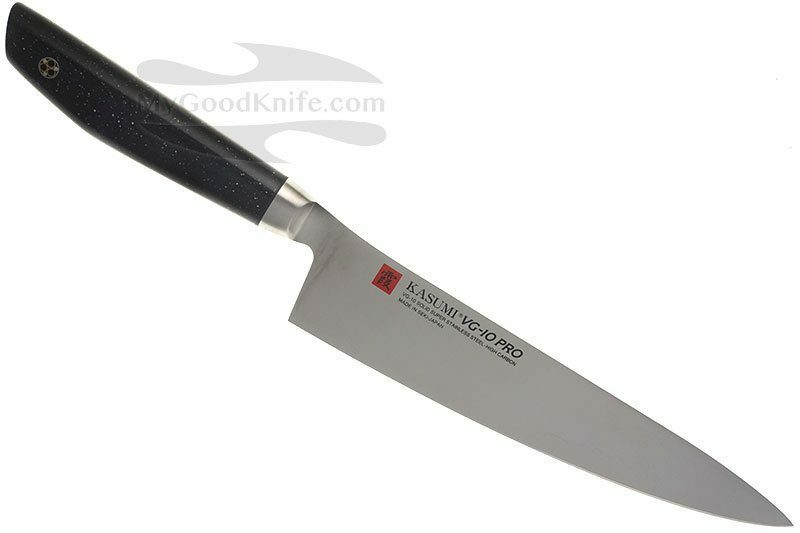 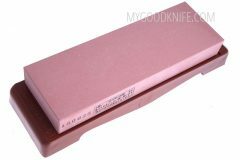 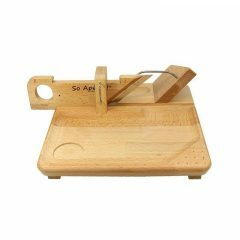 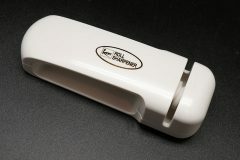 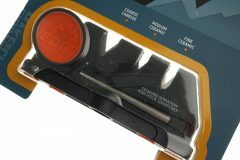 There are only best kitchen knives in MyGoodKnife’s range.